Comparing gold coin dealers is an important first step to investing in gold . With so much at stake – your money, your future and potentially even your retirement plans – you must be sure to choose your seller appropriately. Otherwise, your gold-buying experience could be filled with headaches. Worst case scenario: you could waste your money on an investment that was never suited for your needs. But don’t stress about it. 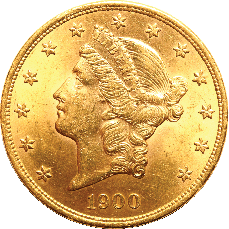 Purchasing gold coins as an investment, or other precious metals, is actually very easy when you have a qualified dealer to walk you through the process. Use the questions below to help you learn more about your prospective gold coin dealers (Wikipedia), so you can narrow down your list and find the best fit. What types of gold coins do you offer? If you’re new to buying gold coins, you may not realize there are several different types available to you. For example, some investors prefer numismatic gold coins (minted prior to 1933), because their scarcity can influence the growth potential just as the gold content can. Others choose gold bullion coins as an extremely liquid investment. Those who are planning for retirement may prefer the American Gold Eagle proof coin, which is the only collectible gold coin that can be placed in a gold IRA. Each type of coin has its own unique benefits, but not all gold coin dealers offer all options. Look for dealers who sell a variety of coin types, so you can choose the option that fits your situation best. What is your experience in the precious metals market? This one is important, because you never want to buy gold from a dealer who doesn’t have a thorough understanding of the gold coin market. Make sure the dealer – preferably a well-established precious metals company – has significant experience in the sale of gold coins to a wide variety of investors. How do I buy gold? What’s the process? Even if you have purchased from other gold coin dealers in the past, you ask about the process to make sure you know what to expect. Some dealers will leave it up to you to figure out everything on your own, while others will guide you through the process. Ideally, you should only work with a seller who is looking out for you, every step of the way, and happy to assist you. Just because a dealer offers a variety of coins doesn’t mean they can advise you on your investment options. Although no dealer has a crystal ball, an experienced precious metals company can provide you with information and insights from market experts that will help inform decisions based on your goals. If you find a seller that is not willing to take the time to educate you on your options, then you should probably keep searching for another dealer. Let Birch Gold Group help you determine which gold investments may be right for you. We offer a variety of options, including gold bullion, numismatic coins, and gold IRAs, in addition to other precious metals, including silver, platinum and palladium. Rated A+ by the Better Business Bureau, we are known throughout the industry for our expertise, dedication to client satisfaction, and exemplary record of service. To learn more about purchasing gold coins, simply contact us by filling out the form on this page, or call (800)355-2116.